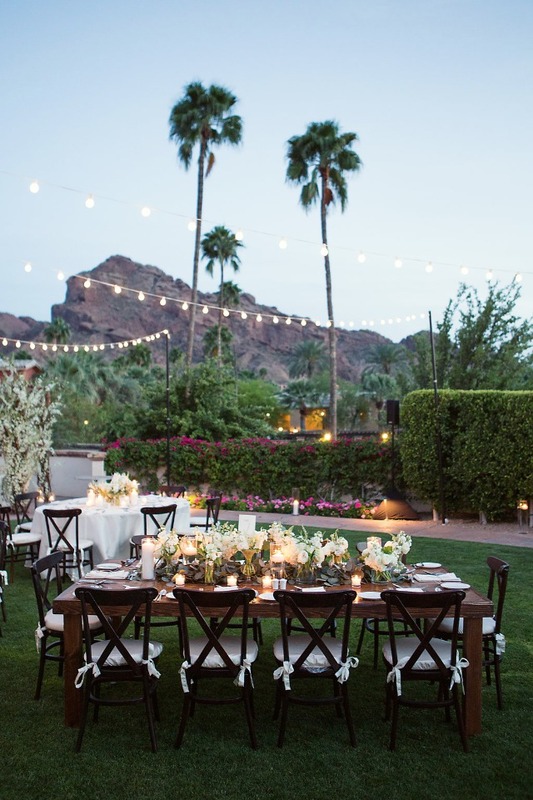 Learn How To Rock Your Reception Like This Outdoor Arizona Wedding! 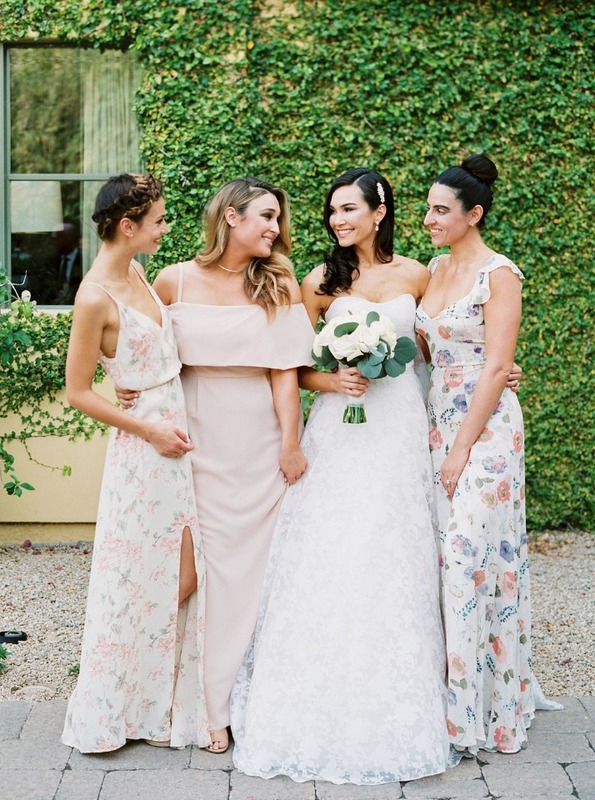 So you want to have a wedding that will have your guests talking about it for years, but you aren't exactly sure how that happens... our next couple are here to help. 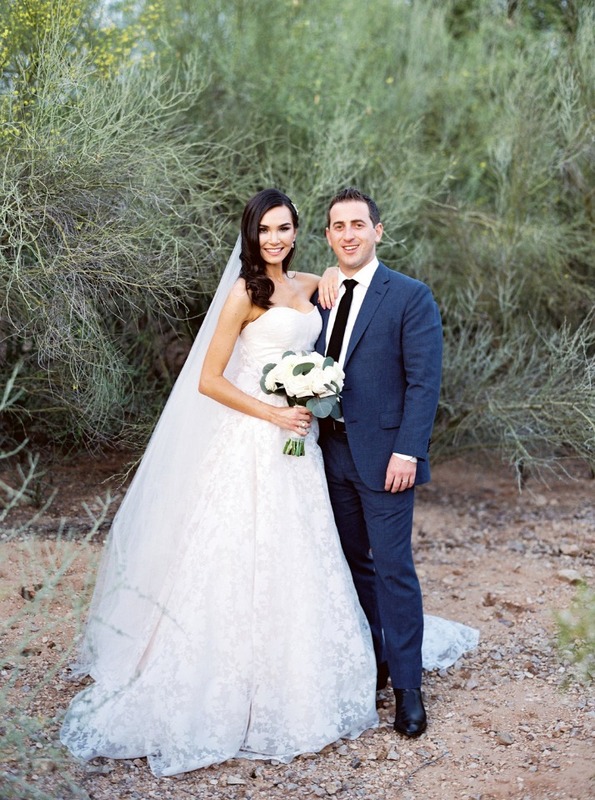 Ryan and Christal have some great advice to help you learn how to rock your reception like this outdoor Arizona wedding. 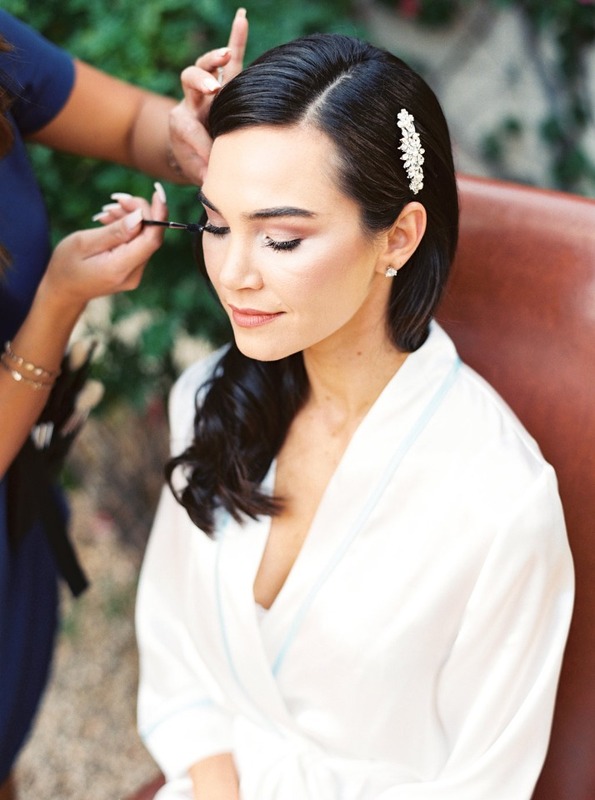 So keep scrolling to find their helpful tips and learn what this determined bride did in the face her dream wedding being rained out. We also have tons more photos for you to get lost in thanks to the talents of Joshua Aull Photography. 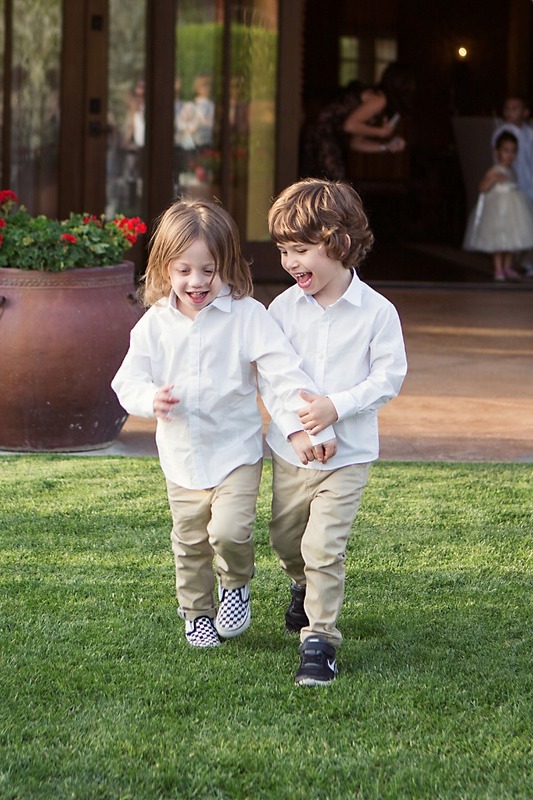 You can see every last sweet moment and epic desert portrait in the full gallery here. 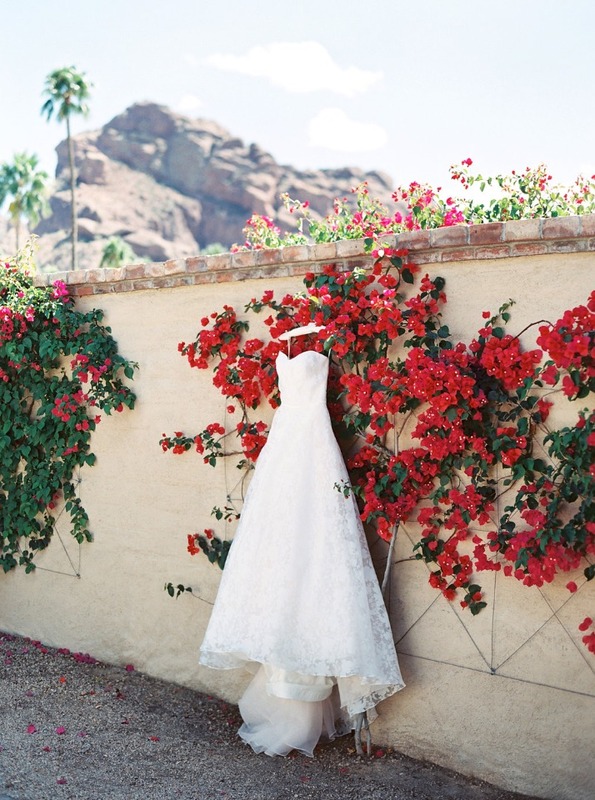 From the Bride: I grew up in Phoenix, Arizona and all my family remains there. We also both love the desert landscape and the warm spring weather. 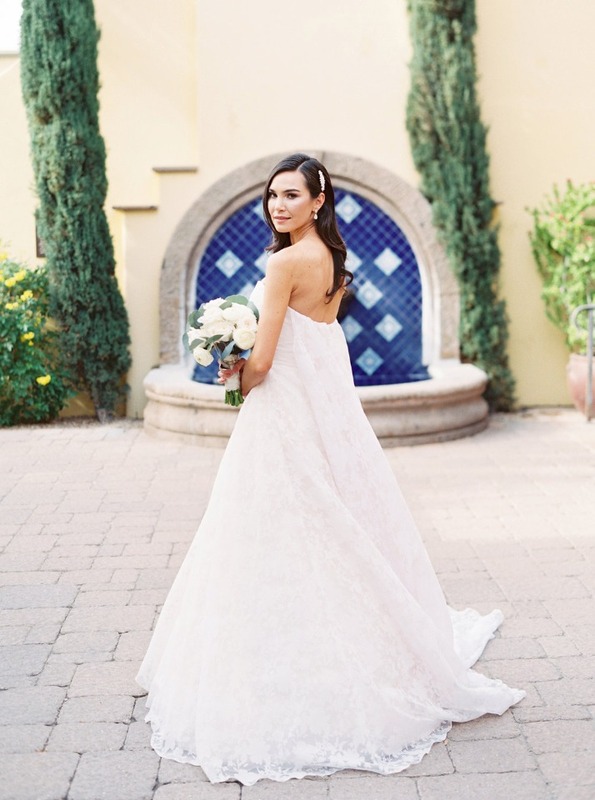 We decided that we would begin looking for venues there, and it wasn't but our very first venue tour at the Omni Montelucia that we decided the backdrop of the picturesque Camelback Mountain would be the perfect setting for our wedding. We had already been in love with the resort as we had stayed there numerous times while visiting family. It was the perfect balance of quiet, beauty, and fun. We knew our guests would absolutely fall in love with the resort like we had, and would have a great time. 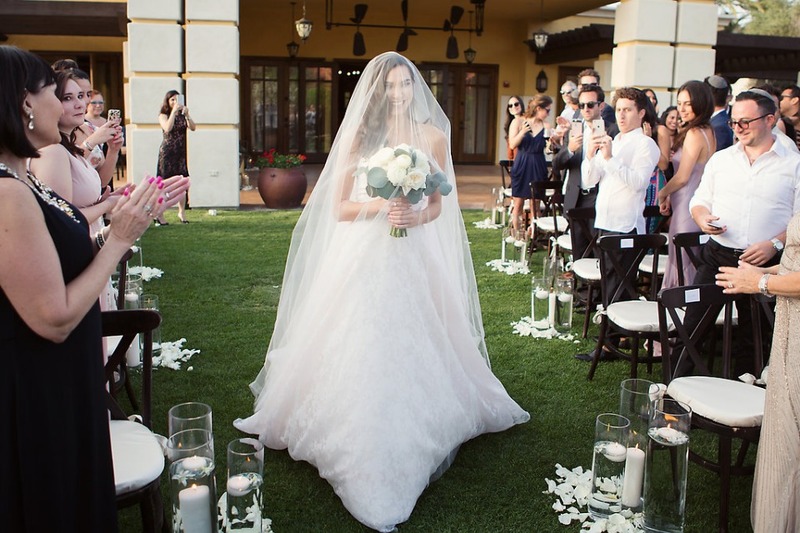 The most important thing to us when picking the wedding venue, was that our entire event be outdoors. The weather is absolutely spectacular in Scottsdale in the spring, so we wanted to use the gorgeous warm evenings and cotton candy skies to our advantage. 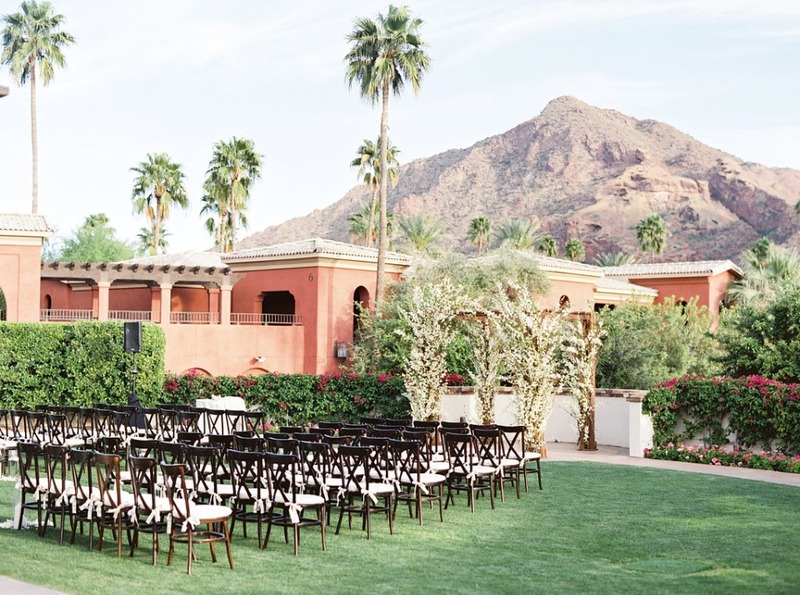 The large grass lawn of the Camelback Villa, which was on the grounds, would allow us to have both our ceremony and dinner outdoors. ... but what do you do when your outdoor event just might get rained out?... click here find out! 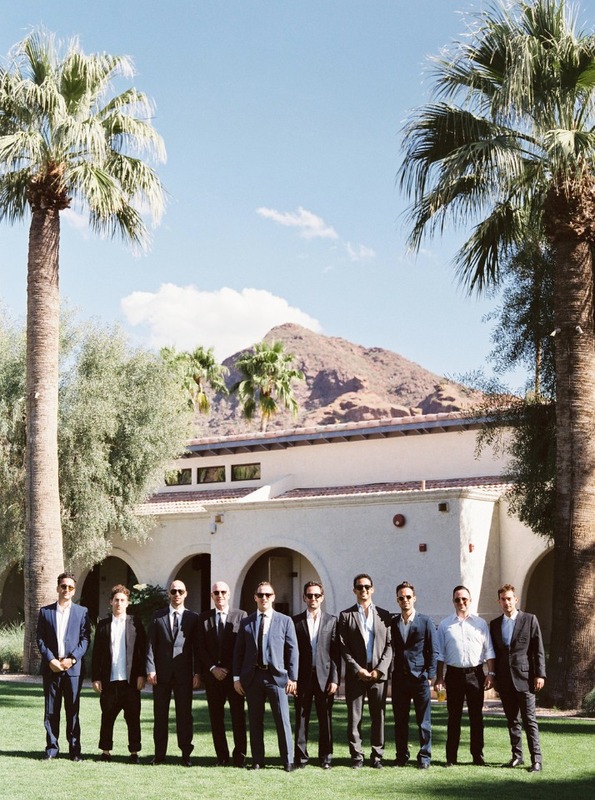 After Ryan's childhood Rabbi married us, our photographer, Joshua Aull raced us into the desert to snap the perfect photos as the sun set on the desert mountains, while our guests enjoyed cocktails back at the villa. 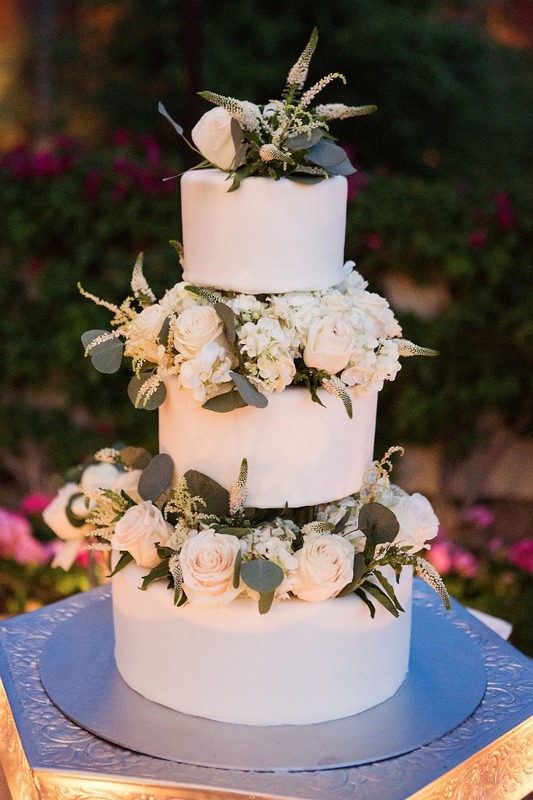 For dinner, guests dined on branzino and braised short ribs, and we kept an upbeat and eclectic mix of music playing by our DJ, Drea Strickler of Desert House Productions. We wanted the atmosphere to feel relaxed and laid back, so we kept music like Michael Jackson, Arcade Fire, The Doobie Brothers, and Prince playing to encourage our guests to get up and dance between courses while mingling around. 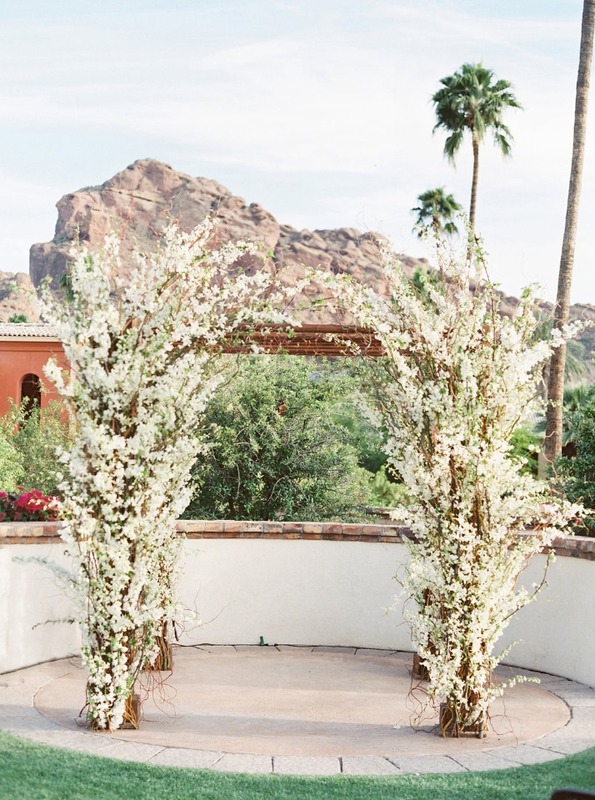 We knew that since we were going to utilize the natural landscape, we wanted to stick with a neutral color palette of whites, creams, ivories, greenery, and natural wood. 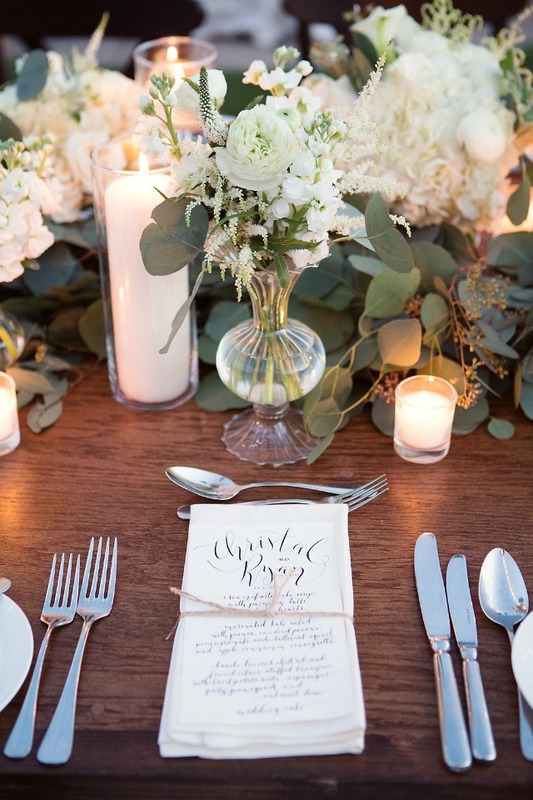 The flower arrangements were to be more natural and free flowing than "done". We also wanted the chuppah to be a main focal point and would be repurposing it for dinner as the setting for our sweetheart table. We opted for a large chuppah with a heavy layering of curly willow with white dendrobium orchids mixed in to add a natural yet romantic feeling. 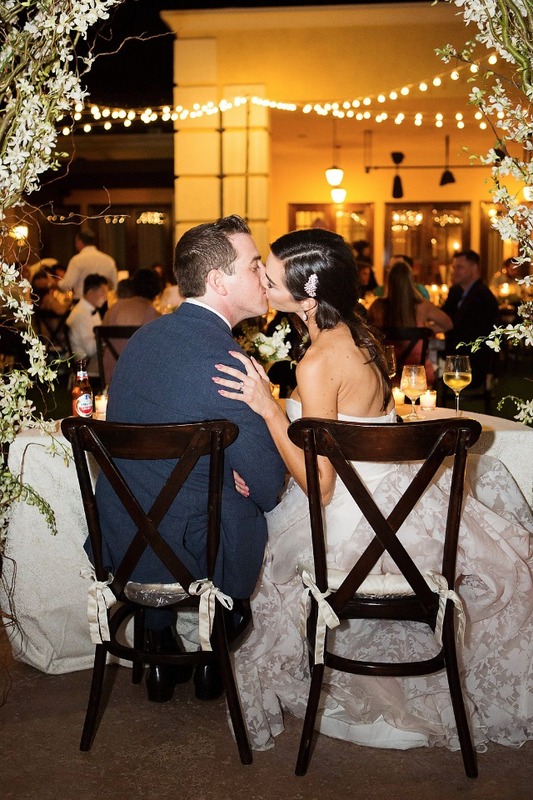 We alternated large undressed wooden rectangle tables with round dinner tables covered in ivory linen tablecloths, and mixed round table centerpieces with 8 ft long eucalyptus garland and floral centerpieces. 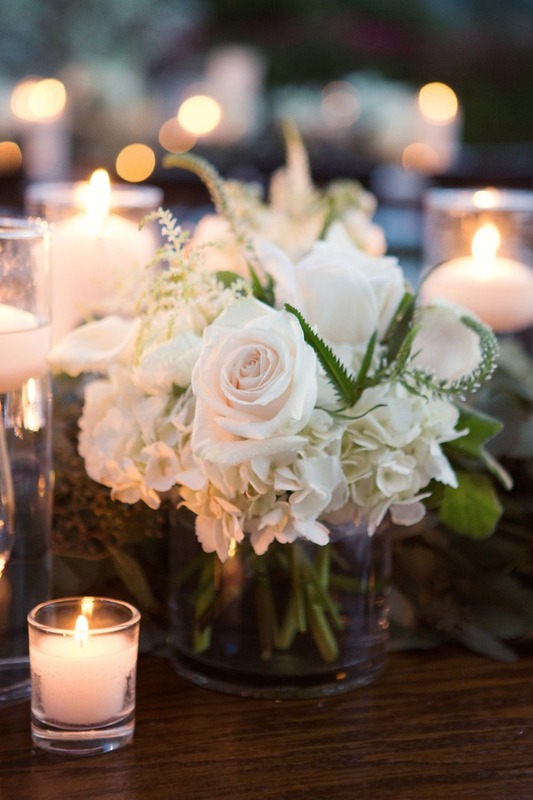 Each centerpiece was a collection of hydrangea, roses, ranunculus, eucalyptus, and calla lilies, with a layering of votives, pillar candles, and floating candles all in clear glass. 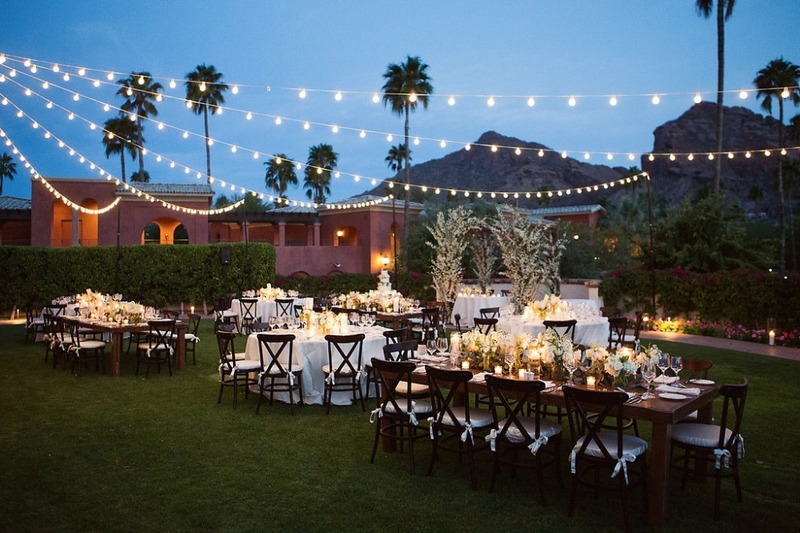 White bistro lights were strung across the entire lawn to provide just the right amount of mood lighting for the outdoor space. 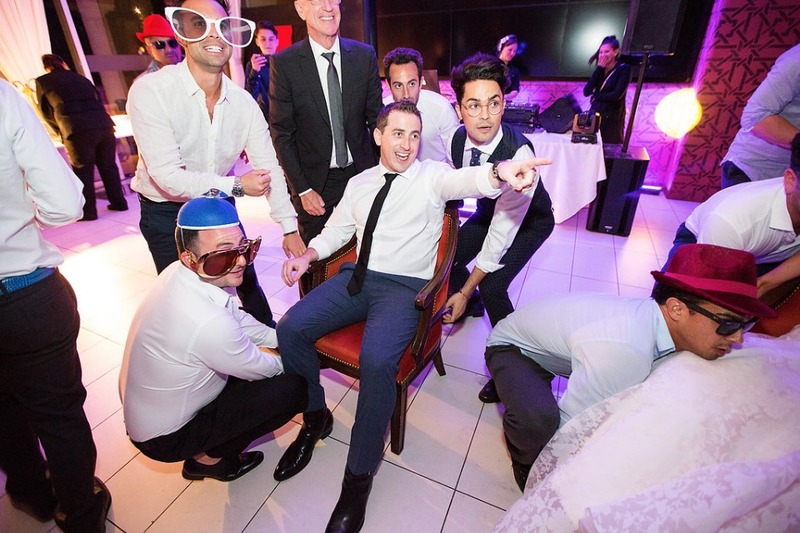 Tips On How To Rock Your After Party! Do NOT have too many speeches! 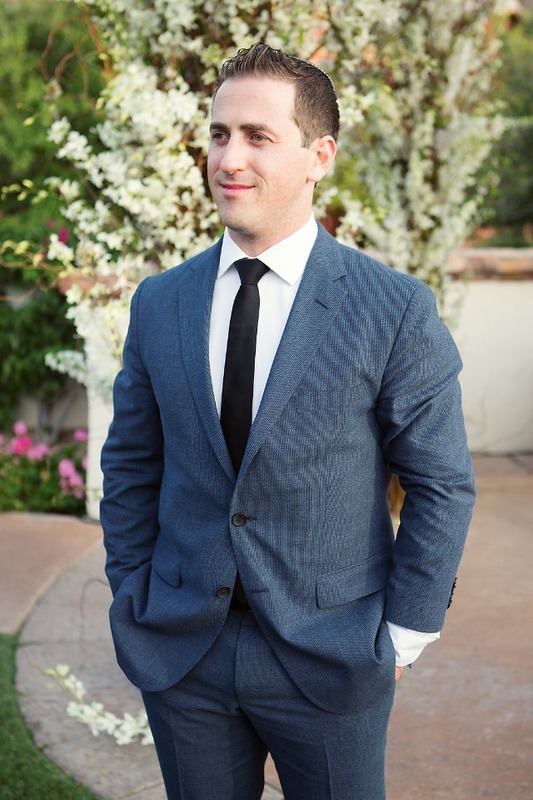 That is the quickest way for guests to start getting bored, tired, and checking out from your wedding. We limited the speeches to only our best friends at the rehearsal dinner, and to only our parents the night of the wedding. 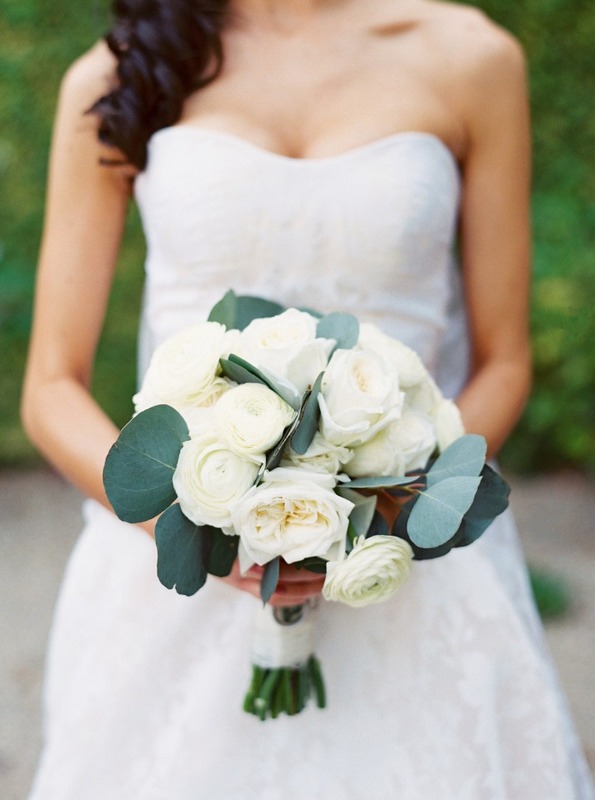 Work with a wedding planner who you really like and vibe well with. I absolutely loved my wedding planner (Danielle from Outstanding Occasions) and she made the process so stress free and enjoyable. 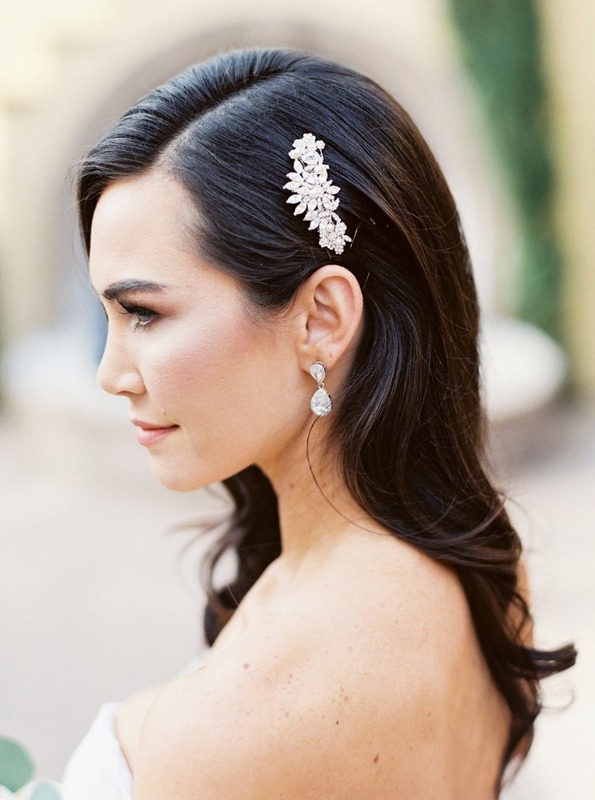 Know that your wedding day will never ever go exactly how you've pictured it in your head, and that it's ok! I told myself from the beginning of the process that I wasn't going to stress over the small details and worry about something going wrong. I knew it would wind up being perfect for us even if it wasn't "perfect". 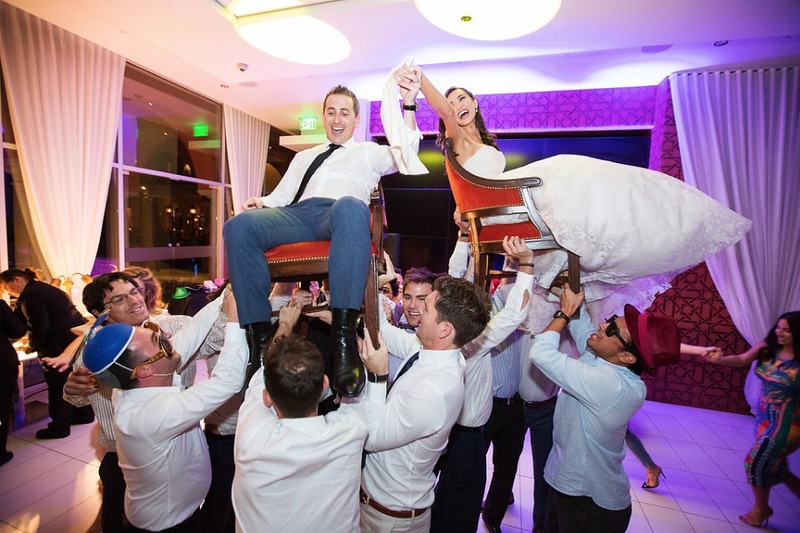 Don't skimp on the alcohol and music if you want to make sure the party is unforgettable! 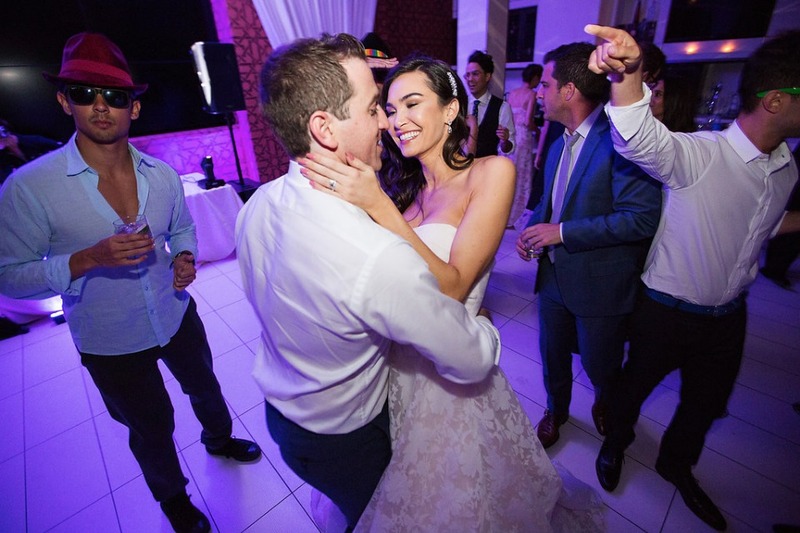 We had an awesome DJ and an unlimited bar, and all of our guests wound up making the best ever dance party into the wee hours of the morning- and our friends and family still talk about it to this day. But also, if you are having an open bar all night, make sure you do late night snacks/food so the alcohol doesn't go wrong! We had a french fry bar, mini pizzas, and sliders come out around 11:30pm and everyone loved it!